The Bata Shoe Museum in Toronto, Canada has entered a unique partnership that combines education and cultural tourism with its long-standing commitment to document, conserve, collect, exhibit and promote indigenous footwear of North America. Working with Manitobah Mukluks and TreadRight Foundation, the museum will host a semi-permanent ‘Storyboot School’ that teaches the heritage art of mukluk-making to local indigenous students, while also introducing the art and culture to visitors. The project will also permit Storyboot artisans from across Canada to display and sell their mukluks at the museum. Click here to learn more about the Manitobah Mukluks Storyboot School. 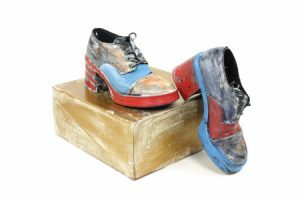 The Bata Shoe Museum is pleased to announce its Pay-What-You-Can (PWYC) Thursday evening program is now brought to you by Bruce Etherington and Associates. The PWYC program, which is open to all visitors to the Museum every Thursday between 5 pm – 8 pm, offers visitors the opportunity to experience one of Toronto’s most unique attractions with a donation amount of their choice. Our annual fundraiser which takes place during the month of November. Spread the gift of warmth in our community—from the bottom of our hearts to the bottom of our feet. Socks are one of the first items people request when asking for assistance, and they are a staple of health care for the homeless because they keep feet warm and dry. Remember how good it feels to put on clean new socks? Help give that same joy to people in need. Give a small comfort that carries a big impact. This year’s Warm the Sole Sock Drive was a great success. Thanks to all who donated we presented the Scott Mission with over 3000 pairs of socks. If you missed your chance to participate this year, make sure you check back next year! Click here for more information on this annual fundraiser. The Relax, Recharge & Renew program provides parents of children with special needs a much-deserved break. Tourism Toronto, with the assistance of members and partners, provides weekend packages for parents that include a limousine pick up, a two-night hotel stay, tickets to shows and museums and other attractions, and meals at local restaurants. Two families benefit from these weekend getaways every single week. Each weekend, two families will leave their child in a high-quality, provincially funded respite care setting and then return home where a limousine will pick them up for a three-day package that includes a two-night hotel stay, including breakfasts, tickets to a marquee theatre or sporting event, passes to major attractions, dinners at top restaurants, pick-up and return by limousine, TTC passes to get around the city throughout the weekend, an overnight bag and a gift for the child in care. The BSM is excited to be a community partner for the Arts for Children and Youth (AFCY) artist-in-residence program. AFCY’s mandate is to engage young people living in priority neighbourhoods in high quality and accessible arts educational programs that are meaningful, relevant and collaboratively developed with community and education partners. AFCY positions arts programs in schools and neighbourhood venues as a means of building community, and empowering marginalized children and youth to reach their full potential as artists and social contributors. The BSM is excited to be a community partner for Arts for Children and Youth artist-in-residence program. 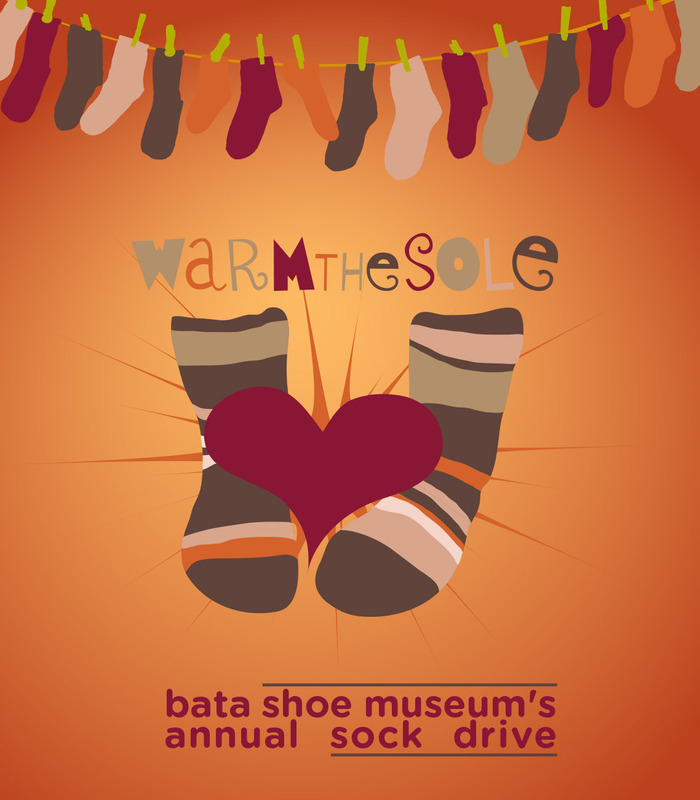 The Bata Shoe Museum is proud to be a supporter of The Shoe Project. This unique imitative grew from the efforts of three women: Novelist Katherine Govier, who wanted to help immigrant women polish their writing skills in English, BSM Senior Curator Elizabeth Semmelhack, who was interested in presenting immigration stories at the Bata Shoe Museum, and a private sponsor, who wanted to help women newcomers to Canada. The Shoe Project has evolved into an ongoing writing workshop for women who are new to Canada, directed by Katherine Govier. Click here to read the stories of The Shoe Project.